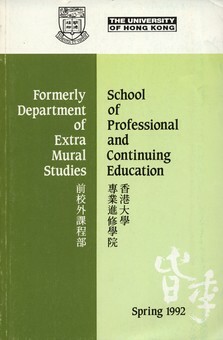 The Department of Extra-Mural Studies (DEMS) of HKU was formally instituted by the University Court on 21 May 1957. 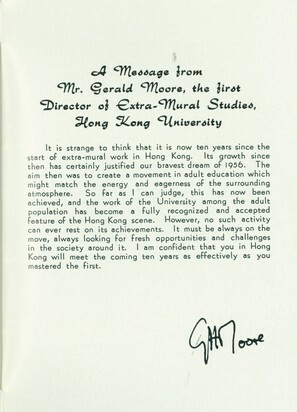 A congratulatory message delivered by Sir Lindsay Ride, the Vice-Chancellor of HKU, dated 22 May 1957. 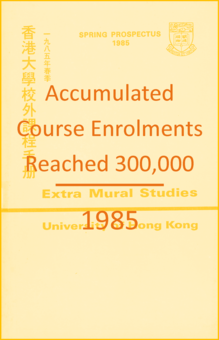 330 course enrolments in the first academic year, breeding the first batch of students, and witnessing the birth of the HKU DEMS. 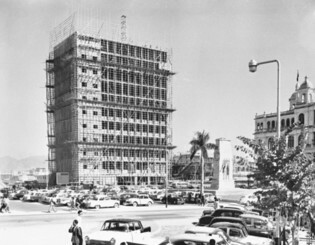 The first modern library was opened in City Hall in 1962 and so the demand for librarians rose immediately. 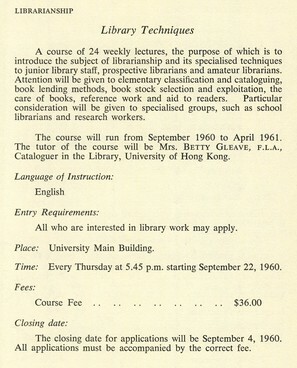 The DEMS responded by offering Hong Kong’s first librarianship course in Library Techniques in 1960, and later in 1964, organised an award-bearing programme jointly with the Hong Kong Library Association. 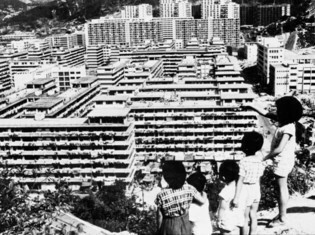 In 1953, the tragic fire in the Shek Kip Mei squatter area led the government to start an extensive public housing programme. 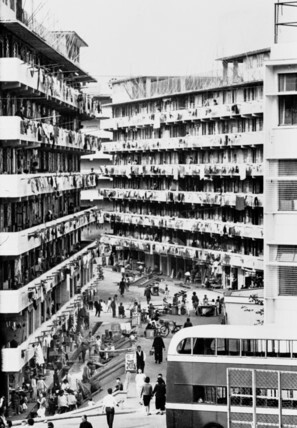 As the new housing estates came on stream, there was an increasing need for qualified housing managers. 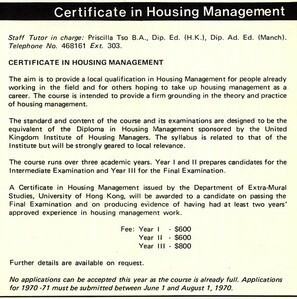 In 1963, the DEMS in cooperation with the government started to offer a two-year training programme in Housing Management which later developed into a three-year Certificate in Housing Management course in 1969. In 1964, the DEMS offered an external LL.B. 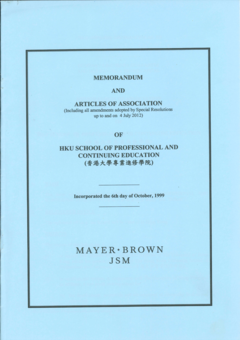 degree programme leading to Bachelor degree in Law jointly with the University of London. 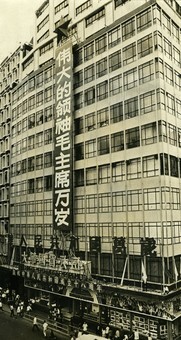 The 1965 Extra-Mural Town Centre in Central brought the DEMS more firmly into the community and facilitated the promotion of professional studies for working adults. 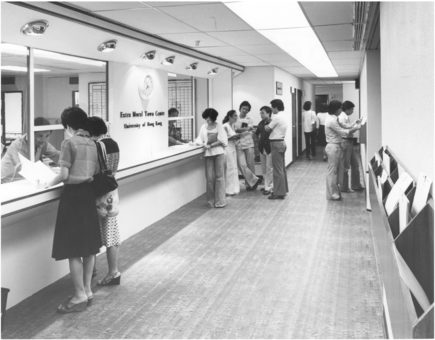 The new Extra-Mural Town Centre on the eleventh floor of Universal House (now known as Nanyang Commercial Bank Building), 151 Des Voeux Road Central, consisted of seven lecture rooms, two seminar rooms, two art studios and music rooms, one library and several offices with a capacity of around 300 students at any given time. 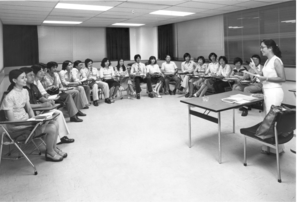 In 1970s, a serious medical incident occurred due to the absence of medical laboratory technologists at night. 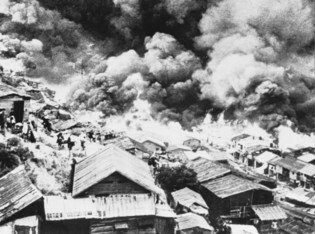 Soon after this incident, the DEMS realised the need for more qualified medical laboratory technologists, and offered the first Certificate in Medical Laboratory Technology. 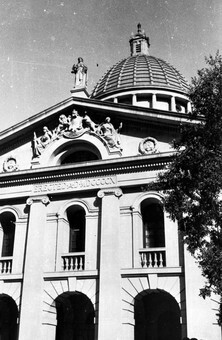 From 330 course enrolments to accumulatively reaching 100,000 in 1976, marked a milestone for the DEMS. 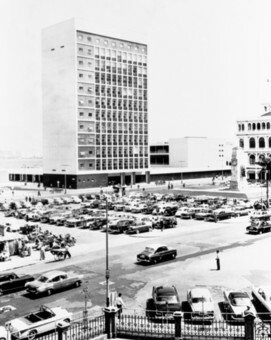 The new town centre went into operation in January 1978. 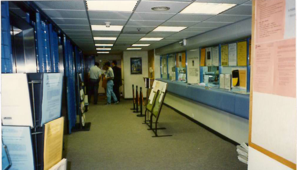 It had a floor area of around 15,250 square feet, with fourteen lecture rooms accommodating 600 students. 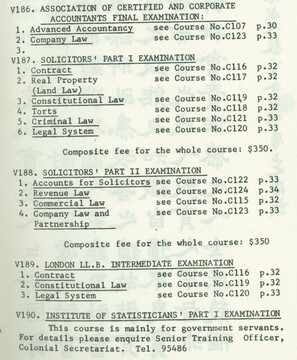 After moving to the Wing On Centre, the number of courses conducted in the Town Centre increased from 144 in 1977-78 to 268 in 1978-79. 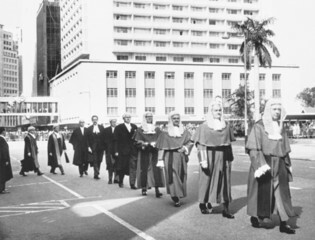 In the late-1970s, the DEMS developed rapidly, resulting in doubling in numbers of course enrolments, grew from 100,000 to 200,000 within five years. 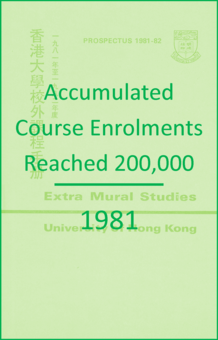 Until 1985, the DEMS course enrolments already reached 300,000. 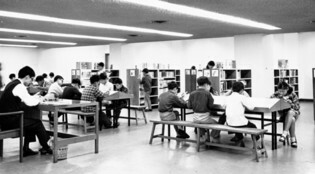 The steady introduction and development of new professional and vocational programmes was increasing the need for extra office and teaching space. 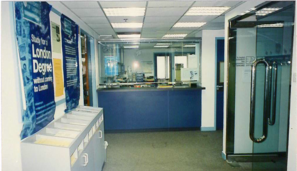 The first permanent Town Centre was acquired in 1982 to cater the needs of part-time adult students. 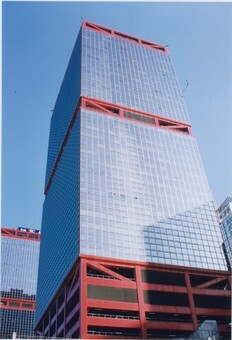 The Shun Tak Centre became a symbol of university continuing and professional education. 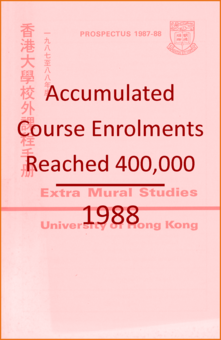 With nearly 30 years of effort in providing education, course enrolments exceeded 400,000. 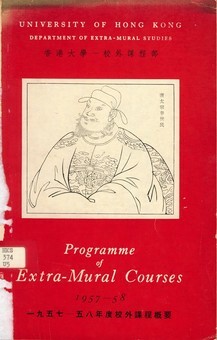 As the society’s needs grew rapidly, along with the demand for education, course enrolments exceeded 500,000 in 1991. 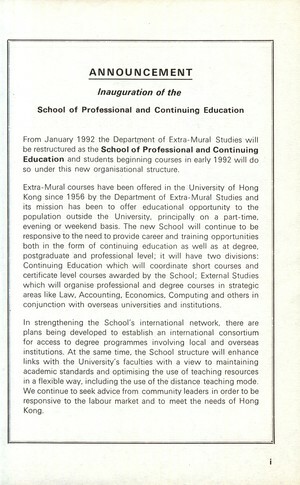 The restructuring of the Department of Extra-mural Studies as the School of Professional and Continuing Education (HKU SPACE) in January 1992 not only involved a change of name and structure, but also marked a significant transformation in the School’s status and identity both within the University and in the wider society. 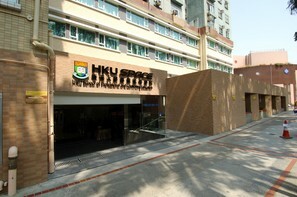 Its enhanced status as a “School” within the University, placed HKU SPACE in a better position to proceed with its academic development. 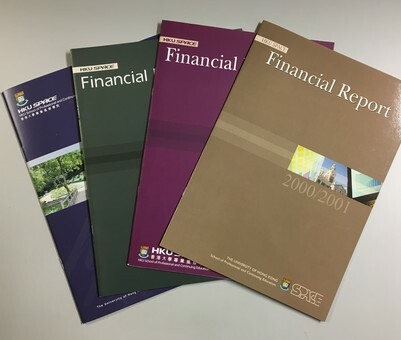 In the 1990s the School was granted financial autonomy and a corporate status so that it could plan its activities with greater flexibility and respond to the continuing and professional education market in more flexible, prompt and pro-active ways. 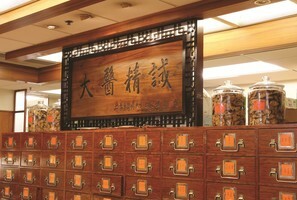 The Division of Chinese Medicine in Kowloon West Campus was equipped with specialised reading rooms, a specimen laboratory and general laboratory to better support the teaching staff. 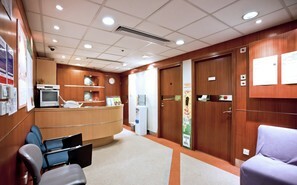 Our Chinese Medicine Clinics and Pharmacies at Admiralty and the Mei Foo Learning Centres serve primarily as clinical training centres for our Chinese Medicine trainee sessions and also provide general and specialist consultations for the public to support our educational programmes. “One advantage is that such a structure clearly differentiates our activities from public funding. 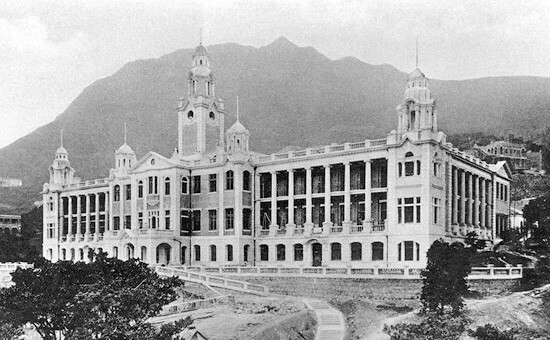 As the School was a non-profit organisation for educational purposes, the normal status of a “limited company” was not considered appropriate for the new entity. 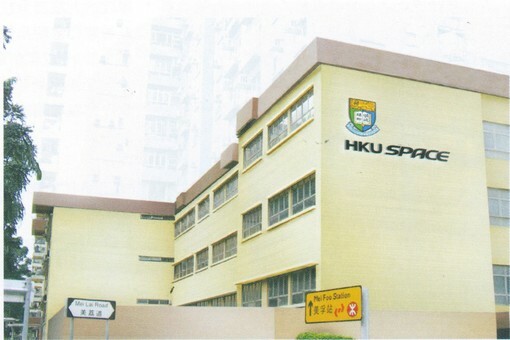 HKU SPACE was therefore re-formed as a “company limited by guarantee”. 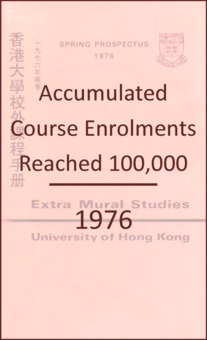 After nearly half of a century in providing extra-mural studies courses, the School’s course enrolments have reached 1 million. 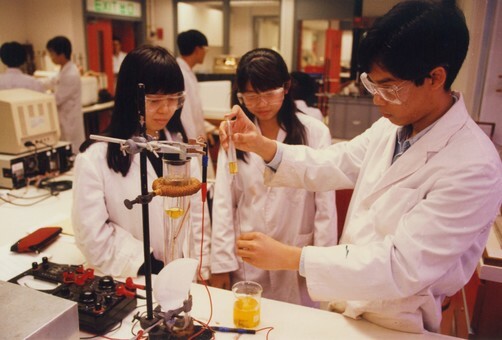 The Community College was the first college of its kind in Hong Kong, and is now regarded as a premier educational institution offering a comprehensive range of award-bearing programmes leading to sub-degree awards including Associate Degrees and Higher Diplomas in many subjects. 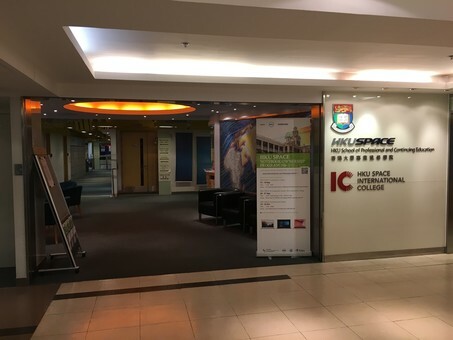 Successful completion of any academic programme offered by the CC leads to an award within the University of Hong Kong system through HKU SPACE. The college’s high-calibre programmes are designed to align with the overall university curriculum with the aim of providing students with additional pathways to enter university degree studies as well as to prepare them for specific professions. The Dietetic Clinic is committed to educate the community on proper nutrition and health concerns by offering all-round dietetic programmes. 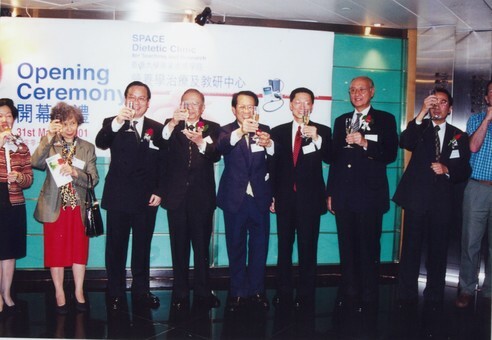 It is a teaching and training centre that complements both nutrition and dietetic courses offered by HKU SPACE, and provides the means for further research and development to help us benefit the community. 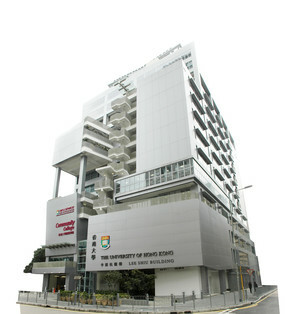 International College (formerly known as Centre for Degree Programmes) was established to offer full-time undergraduate programmes with duration between 10 and 24 months for sub-degree holders and programmes at year-one entry-level for IB/HKDSE graduates. 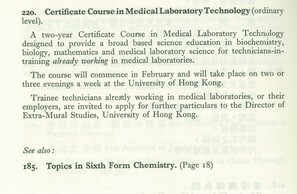 All programmes are delivered in collaboration with public universities in the UK, Scotland and Australia. 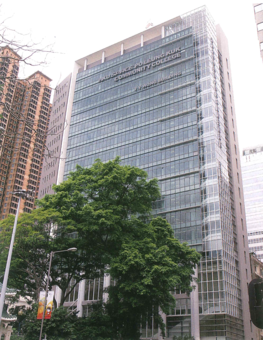 As the demand for postgraduate qualifications is on the rise in Hong Kong, the College also offers full-time postgraduate diplomas, catering to the needs of degree holders. The College has put its full support behind arts and media education at postgraduate level through the introduction of two master’s programmes with Central Saint Martins (CSM), University of the Arts London and London College of Communication (LCC), University of the Arts London. 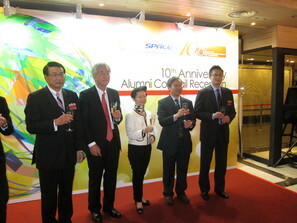 HKU SPACE ALUMNI is inaugurated to build active and lifelong relationships amongst alumni members, and between the School and the ALUMNI. 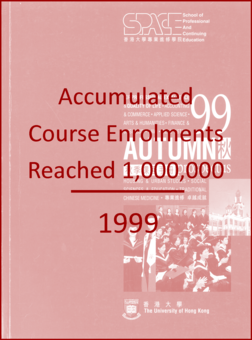 As the government promoted continuing education, course enrolments have been increasing steadily, exceeding 1.5 million. 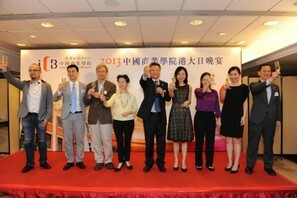 HPSHCC is a joint venture with a leading charitable association, the Po Leung Kuk. 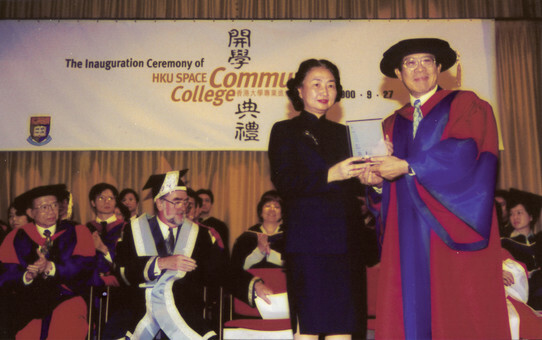 In appreciation of a generous donation received from businessman and philanthropist Dr Stanley Ho, the College was officially renamed the "HKU SPACE Po Leung Kuk Stanley Ho Community College (HPSHCC)" in 2015. 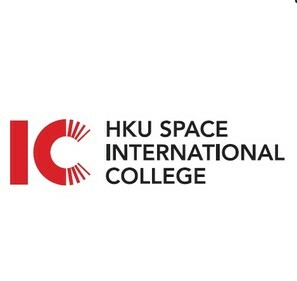 The Associate Degree and Higher Diploma programmes offered by HPSHCC are planned and accredited by HKU SPACE in accordance with its stringent quality assurance processes. 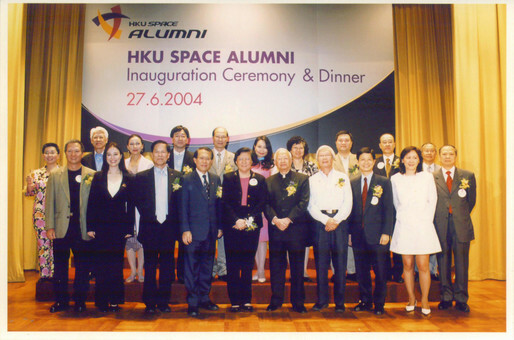 Successful completion of any programme offered by the College leads to an award within The University of Hong Kong (HKU) system through HKU SPACE. 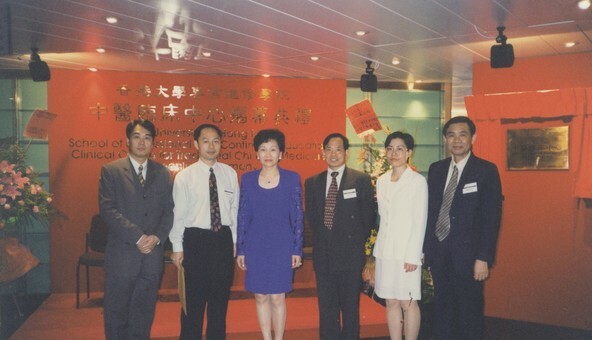 To provide better teaching and Chinese Medicine facilities and clinical services for the public, the School started operations at Kowloon West Campus. 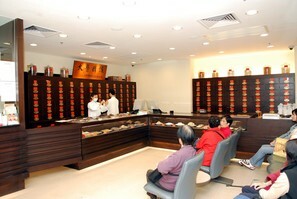 The centre is a major anchor for Chinese medicine services with comprehensive facilities including a Chinese medicine clinic and pharmacy, a Chinese medicine specimen laboratory and a Chinese medicine resources centre for the public. 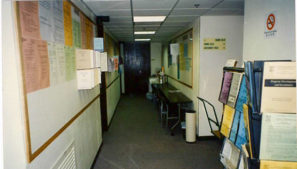 The School has a collegiate structure, established in 2007. The School’s development has been aiming at offering more places and opportunities for secondary students, which accounted for the great boost in course enrolments, increasing from 1.5 to 2 million within just 4 years. The ICB is positioned as an innovative School of Business and Management with particular specialties. In contrast to traditional business schools, the ICB adopts a holistic approach to professional and executive education, and advocates an innovative teaching methodology and proactive learning based on a unique 4P model. 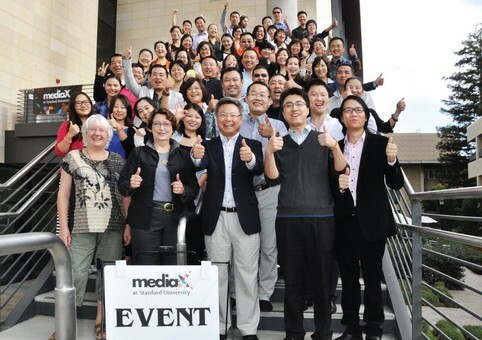 This places emphasis on being Professional, Prospective, Practical and Problem-solving. The mission of the ICB is to help create and grow business talent with world-class leadership and management skills in Mainland China. Future corporate leaders will be equipped with cutting-edge knowledge, an international perspective, and an open mindset through a diverse range of professional and senior-executive programmes. 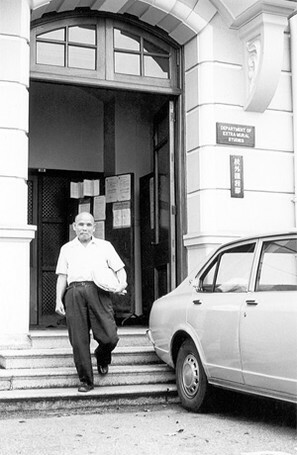 The School has served Hong Kong for over 50 years, and owes its achievements to the works of dedicated professional from a wide array of fields. 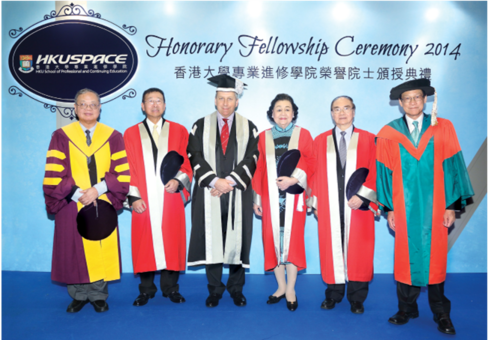 To show gratitude to those closely associated with the School and its mission of lifelong learning, the School established the HKU SPACE Honorary Fellowships in 2014. Following the 60th anniversary, the School opens its new chapter. 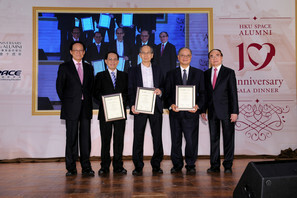 Series of celebrations have been held to commemorate the history and achievements of the School over the 60 years with its teachers, alumni, students and staff. 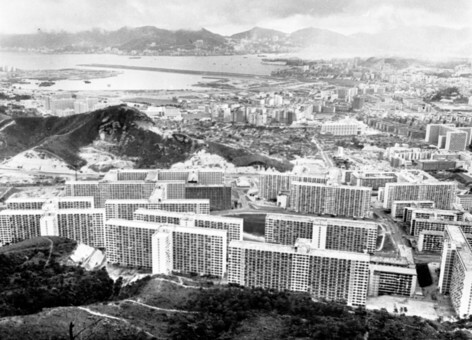 Treasurable historic artefacts and stories in these 60 years have been unearthed to display how the School has grown with Hong Kong. 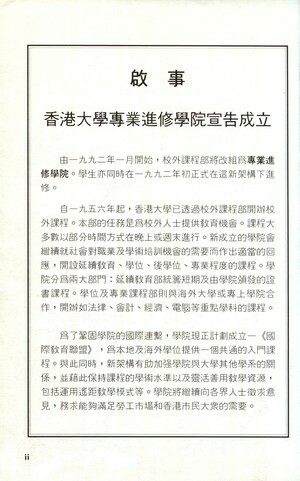 Go to 60th Anniversary Website for more details. The School is providing education in broader aspects, with diverse profiles of students, achieving 2.62 million course enrolments in a short period of time, and it is still counting.